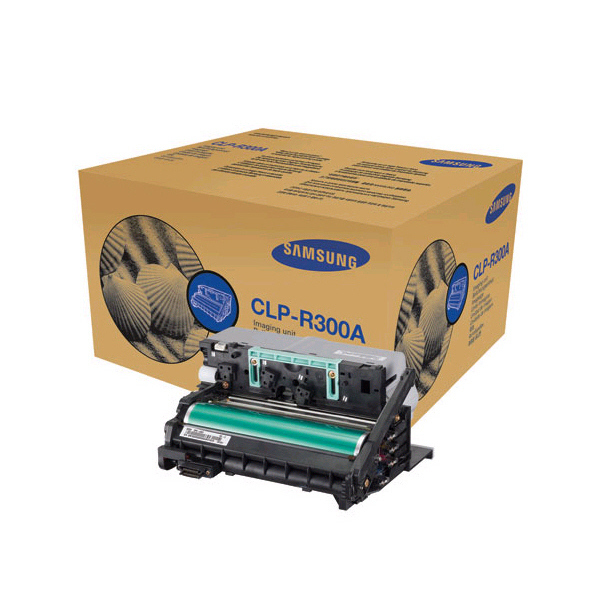 The Samsung CLX-3160FN is an all-in-one unit designed to work both in color and in black and white, but it is clearly designed for personal and perhaps home office use more than it is for professional or industry environments, given its slow speed and small paper throughput. The unit measures 18.3" by 16.9" by 19.1" and weighs 45.2 lbs, considerably smaller than many industrial copying units. It should fit comfortably on a desk or on a similar piece of furniture without trouble. The CLX-3160FN prints documents at a resolution of 2400 by 600 dpi and at speeds of 17 pages per minute in black and white and 4 pages per minute in color. It scans at an optical resolution of 600 by 1200 dpi and offers, at enhanced resolutions, scans up to 4800 by 4800 dpi, above what's offered by many higher-end all in one units. The copier enlarges and reduces between 25% and 400% on the platen or between 25% and 100% when using the automatic document feeder. The copier has an input capacity of 151 sheets spread across a 150-sheet cassette tray and a 1-sheet manual tray, as well as a 100-sheet output tray. A 250-sheet second cassette feeder is the printer's only available upgrade. The unit can print to plain paper, transparencies, envelopes, labels, and card stock sized between 3" by 5" and 8.5" by 14". The automatic document feeder can feed up to 50 sheets of letter or A4 paper at a time measuring between 5.6" and 8.5" by 5.8" and 14". The built-in fax system transmits documents at a speed of 33.6kbps and supports resolutions of 200 by 200 or 300 by 300 dpi and includes 4 MB of memory. The CLX-3160FN has 128MB of memory and includes USB 2.0 and 10/100BaseTX ports for connectivity, making it possible to network the printer if necessary. A PictBridge port is also available on the printer, making it possible to print documents directly from a camera connected to the printer via USB without moving files to a PC, then sending them to the printer. The printer includes drivers for a number of environments including most Windows and Mac OS X versions as well as many flavors of Linux, which support for Red Hat, Fedora Core, Mandrake, and SuSE included with the printer. The CLX-3160FN's print speeds are well below the standard 20 pages per minute offered by more professional-grade equipment. Environments that print large numbers of color documents will almost efinitely need to seek out another unit, as this one will too often slow down productivity. The CLX-3160FN's paper capacity is 401 sheets at its absolute maximum, almost one ream of paper, but likely well under what even many small offices go through on a daily basis. This means that environments with heavy throughput will be constantly reloading the printer. The CLX-3160FN offers almost no options for expandability, such as increased memory for any of its functions or additional ports. 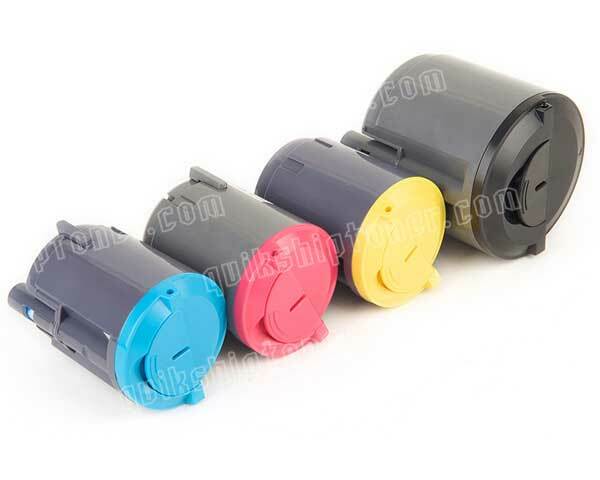 Finishing options, as offered by higher-end printers, are not available on this model. Furthermore, duplex printing is not available with any automation, requiring that you reverse documents by hand if you need double-sided prints for some reason. Samsung does not include any connectivity cables with their printer, requiring an inexpensive but potentially tedious purchase of a USB or Cat5, 5e, or 6 cable before the printer can be used. 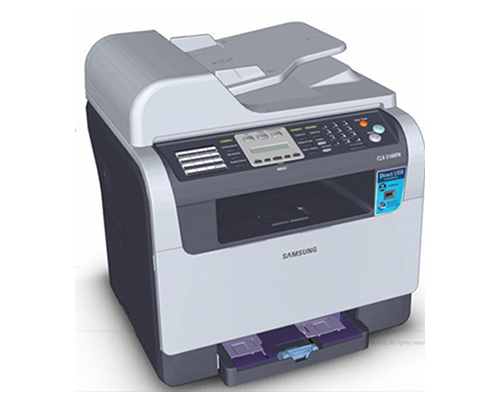 Review it: "Samsung CLX-3160 "
The CLX-3160FN offers almost no options for expandability, such as increased memory for any of its functions or additional ports.Finishing options, as offered by higher-end printers, are not available on this model. Furthermore, duplex printing is not available with any automation, requiring that you reverse documents by hand if you need double-sided prints for some reason.Samsung does not include any connectivity cables with their printer, requiring an inexpensive but potentially tedious purchase of a USB or Cat5, 5e, or 6 cable before the printer can be used.